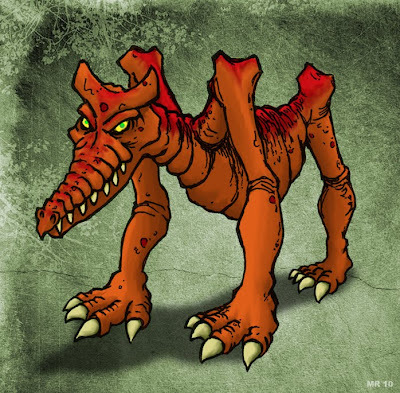 Waste Hunters are dog-sized reptilian predators which roam the desert sands. Like wolves they tend to hunt in packs, and are highly loyal to each other. The creature's unique body and leg design allows it to reach incredible speeds in short bursts. There are several different breeds of Waste Hunter which can be distinguished by skin color, marking, weight, and other factors.